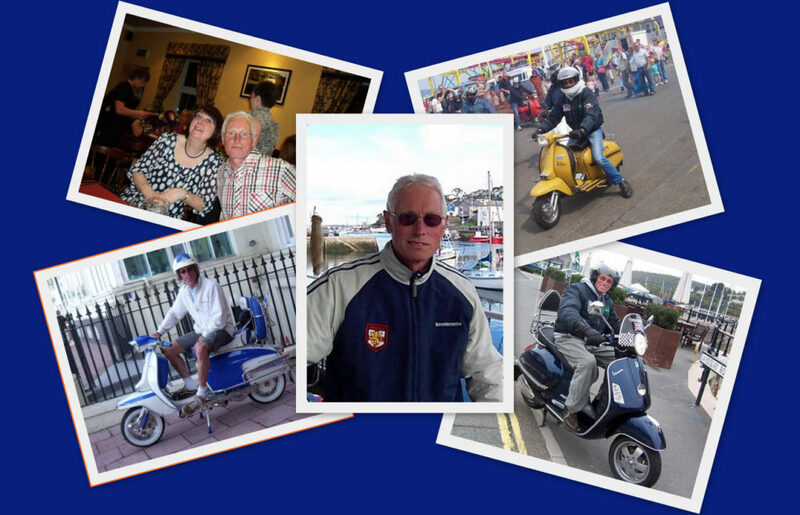 Born Brummy Mod and one of the founders of Torbay Mods SC and co-founder of Run To The Riviera Rally. Lived in exile in Torbay’s English Riviera for the past 30 years. Well known all over the rally circuit on his GP, TV or PX scooter. Passed away 3am Monday 14th February 2011 (aged 61) after a valiant fight succumbed by the big C. Leaves a loving wife Sheila and son Gareth. Sadly missed by all. Stan was the life and soul of the club and below are just a few of the many pictures that were taken of him during the time he was with us. Stan was an inspiration to us all and we shall never forget him!